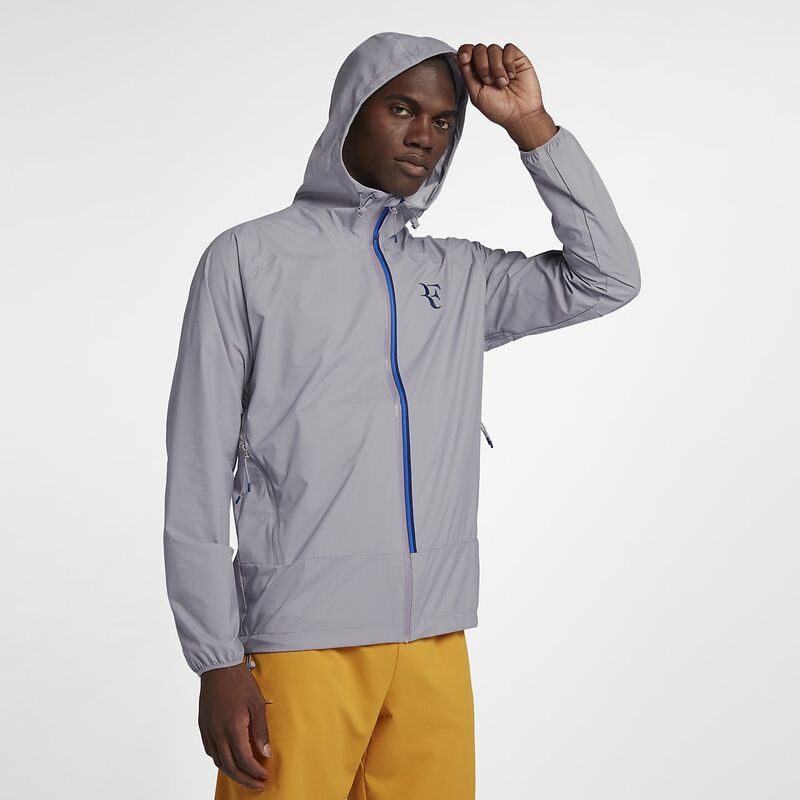 NikeCourt HyperShield RF Men's Jacket features seam-sealed closures, waterproof fabric and an adjustable hood to help you stay dry, comfortable and covered, even in the harshest weather. NikeCourt HyperShield RF Men&apos;s Jacket features seam-sealed closures, waterproof fabric and an adjustable hood to help you stay dry, comfortable and covered, even in the harshest weather. Fabric: Outer body: 100% nylon. Inner body/Insets: 100% polyester. Have your say. Be the first to review the NikeCourt HyperShield RF.